I read this article and found it very interesting, thought it might be something for you. The article is called Just Eat – Dave O’Donoghue – CEO Freshii Ireland and is located at https://www.totallydublin.ie/food-drink/food-drink-features/just-eat-dave-odonoghue-ceo-freshii-ireland/. Dave O’Donoghue talks to us about menu innovation at Freshii and their ongoing efforts to make healthy, energising food available to as many people as possible. Your motto is ‘Eat, Energize’. Tell us about your mission to provide fresh, nutritious meal choices that energize people on the go. At Freshii, we are about making healthy, fresh food which is convenient and affordable, available to as many people as possible. All our menu items are designed by our team of nutritionists and we make all our food freshly in store from locally sourced supply partners. We pack in super foods and the balance of each menu item is key. Because our ingredients are all slow release and low GI, you feel satisfied and you know you have eaten clean food afterwards. 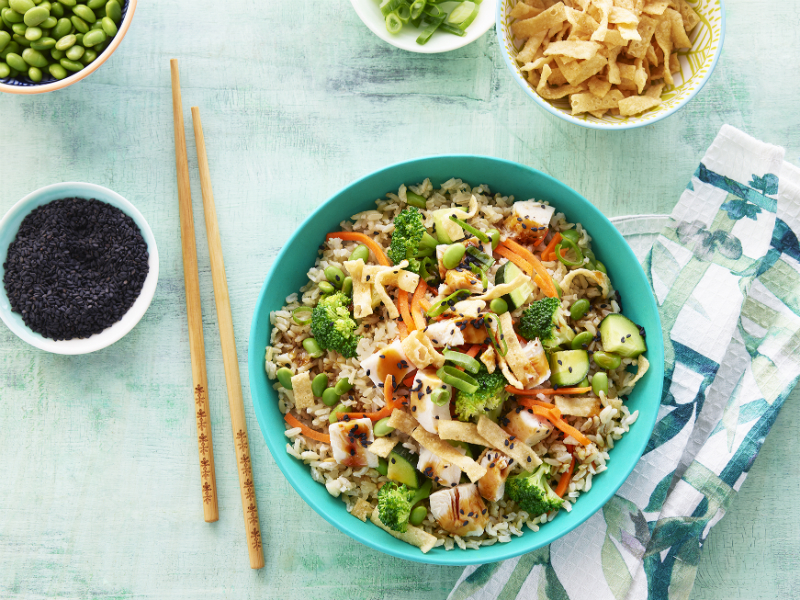 The Freshii menu is constantly evolving. What kind of trends is Freshii currently reflecting in its menu offerings? At Freshii, we believe that food should be good for you and also fun, so we’re constantly upgrading our menus. We have new items every quarter at a minimum. So far this year we have launched Poki Bowl, which proved so popular that it is now a core menu item. We recently launched our Umamii Superfood Salad/Wrap, a delicious combination packed full of great things including kale, brown rice, avocado, edamame, mushroom, cucumber, cabbage, carrot, hemp seeds and ginger miso dressing. We’ve also just launched our ‘Chilli’ range of hot bowls and Vegan Chilli. Innovation is key so we’re constantly listening to our customers, and endeavouring to meet their needs. What would you recommend from the Freshii menu for a person choosing to order takeaway food online for delivery for the first time? We offer hot foods in Bowls, Burritos and Soups so they are very popular on a cold day and we supply a large range of salads and wraps also, all available to order on the Just Eat app for delivery to your home or office. Our Buddha Satay Bowl with rice noodles and spicy peanut sauce is a great Freshii starting point and our Tortilla Soup with falafel/chicken is also really popular. 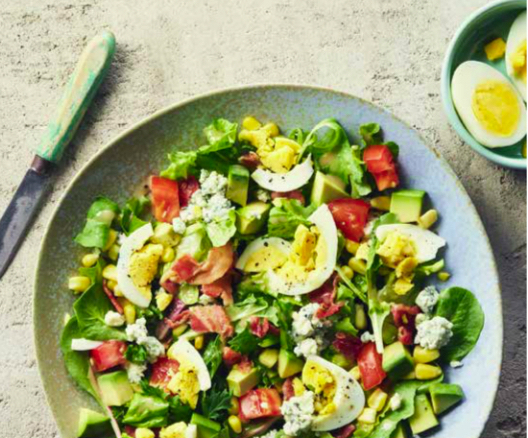 One of our favourite salads is Cobb, finished off with a Freshii Juice or Smoothie. If you want to make your own, then we are happy to make it exactly as you wish. Perfect! What’s your own favourite item on the menu? My favourite bowl is Oaxaca, which is brown rice and kale avocado with beet slaw, black beans, corn salsa, crispy wontons and lime wedge with a spicy yogurt sauce. Our Burrito Khoa San is also a must. It’s filled with brown rice, spinach, almonds, edamame, mushrooms, carrot, and cabbage. Both are yummy, filling and delicious. As a snack, I think our Energii Bites are a nice healthy treat, and delicious with a coffee. The organisation has a strong “Mission Green” ethos. How is this incorporated across the various aspects of the business? We are an eco-friendly brand and we really walk the talk. We were the first restaurant chain in Ireland to go totally compostable on our food packaging and everything else is recyclable. We will shortly only have bins that cater for compostable and recyclable which is another first. We tend to lead the way and implement rather than promise, so we are low emission and environmentally friendly in all aspects of our operation. What else do you have going on at Freshii? One thing we do which is becoming very popular is our customisation service. Whether your preference is Vegetarian, Vegan, Plant Based or on a gym body boost programme we cater for you totally. Everything on the menu starts as vegetarian except Cobb which has bacon and then you can opt to add your choice of falafel, tofu, beef, or chicken if you wish. We support local wherever we can, so our food is all freshly made in store from local fresh producers. Our food is really “clean” as we want to be as authentic as we can and deliver on our promise in a very honest way. We also do office catering for clients and arrange this on an individual basis from each of our locations. We deliver locally from each site and you’ll find our stores in CHQ, Mespil Road, Ballymoss Rd Sandyford, Leopardstown, Dame Street, 3 Arena as well as in Applegreen locations.